Do yourself a favor and set aside about an hour to watch this documentary on the blues. 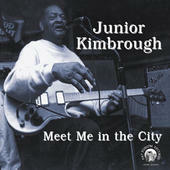 I've heard it, seen it, and cherish my CDs from Junior Kimbrough and R.L. Burnside. As much of an authentic American form of expression as any work of art, this music is not everyone's cup of tea. But it is mine, and I hope you can appreciate it as much as I do. As anyone who really knows me knows, it's one of the keys to me. Please copy & paste the below link into your web browser & it will take you to something I'm sure you'll like to see.